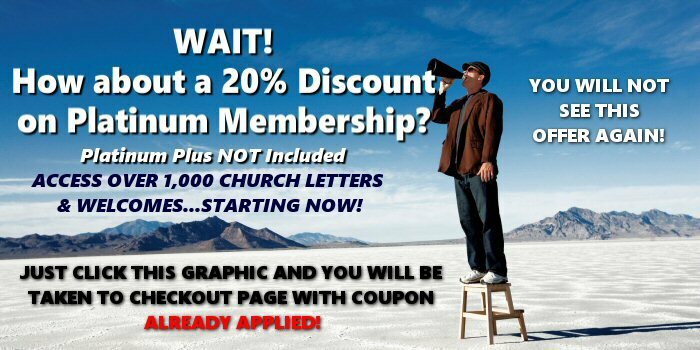 NO BONUSES INCLUDED ACCESS ALL LETTERS AND WELCOMES! 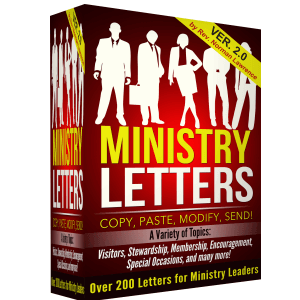 Ministry Letters Version 2.0 - 200 Letter PDF Download. Yours to keep, even if you cancel Membership! 5-Part Sermon Series "A Faith that Works"
4-Part Sermon Series "Stories of Grace"
Pulpit Outlines Sampler Pack – 10 Sermons by Barry Davis of The Pastor’s Helper! NEW! Funeral Sermon – “Blessed Assurance”. Full Manuscript. PLUS! OFFERINGTIME Messages with PPT! ​Never be at a loss for words at Offering Time again! 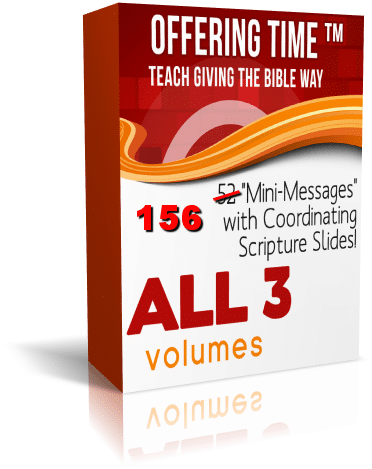 156 Mini-Messages in PDF Format and Powerpoint! ​All 3 Volumes - 3 Years worth of Messages to use at Offering Time! Unlike “static” software which is difficult to constantly update, we are able to continue adding letters as the need arises, or as events merit. For example, with various current events, we have been able to add letters in a moment. We are able to add letters to our site by request simply by visiting our contact page, and if it’s something that would benefit our entire membership, we will write it, then place it on our site for other members to access as well! Many of the letters deal with topics you may not have thought of before! Get away from the “we’ve never done it that way before” mentality, and try some new ministry approaches! 156 MESSAGES – 3 YEARS!